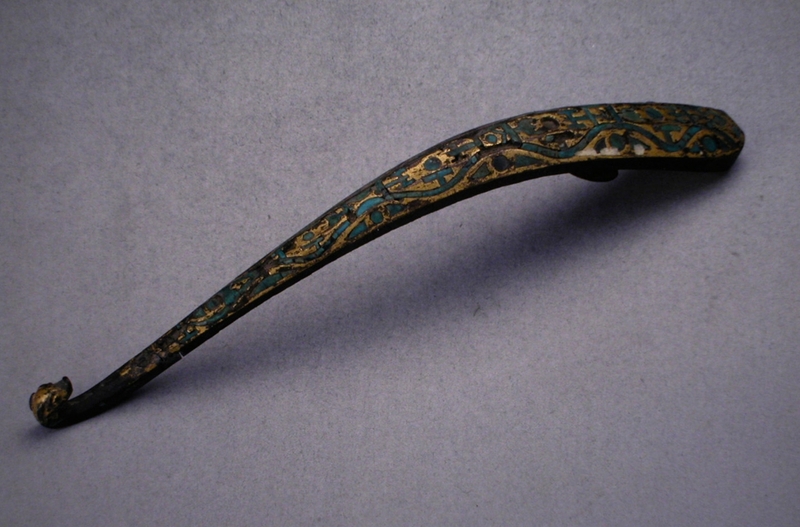 This gilded belt hook tapers into a dragon head-shaped end with a round knob. It is adorned with a geometric pattern inlaid with turquoise. This gilded belt hook tapers into a dragon head-shaped end with a round knob. It is adorned with a geometric pattern inlaid with turquoise. Its large size makes it a rarity and a perfect example for studying the gilding and inlay technology. This pot has a straight mouth, with two ears on opposite sides, a long straight neck, a round and broad shoulder and a bulging belly tapering downwards and a flat bottom. This pot has a straight mouth, with two ears on opposite sides, a long straight neck, a round and broad shoulder and a bulging belly tapering downwards and a flat bottom. 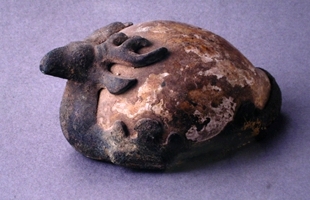 The ears are adorned with a thunder pattern, the neck with a tile pattern, and the shoulder with a circle of square spiral pattern sandwiched by bow-string designs. The belly is decorated with an Eight-Diagrams pattern, and with a band of lotus petal pattern in its lower part. 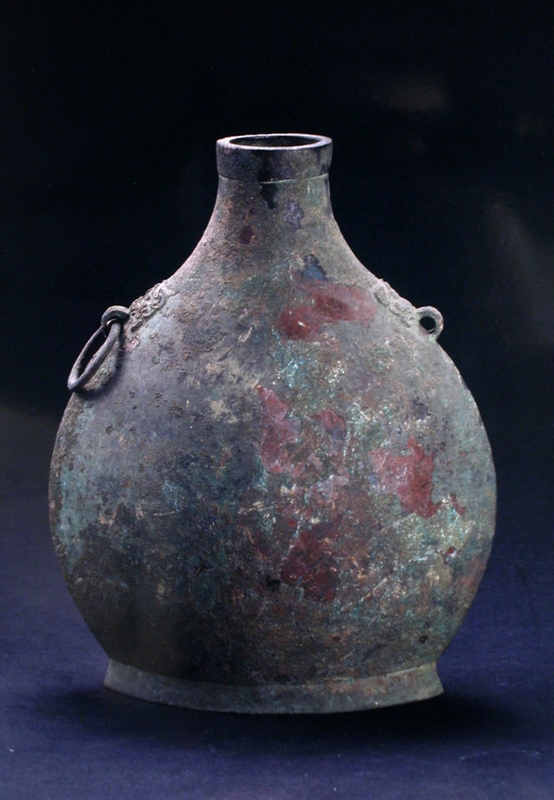 The vessel is a Tou Hu (pitch-pot) used in a game which started in the Spring and Autumn Period or Warring States Period and became popular in the Jin, Tang, Song, Jin and Yuan dynasties. This laver is shaped like a deep basin. It has a broad mouth with a slightly curved edge, a contracting belly adorned with two rings in beast heads on opposite sides and a flat bottom. This laver is shaped like a deep basin. It has a broad mouth with a slightly curved edge, a contracting belly adorned with two rings in beast heads on opposite sides and a flat bottom. The legs are in the shape of three human figures standing akimbo. They have open-wide eyes and mouths, wearing only short skirts, with the upper body naked and holding the basin on their shoulders. The belly of the basin is decorated with a group of raised cords. 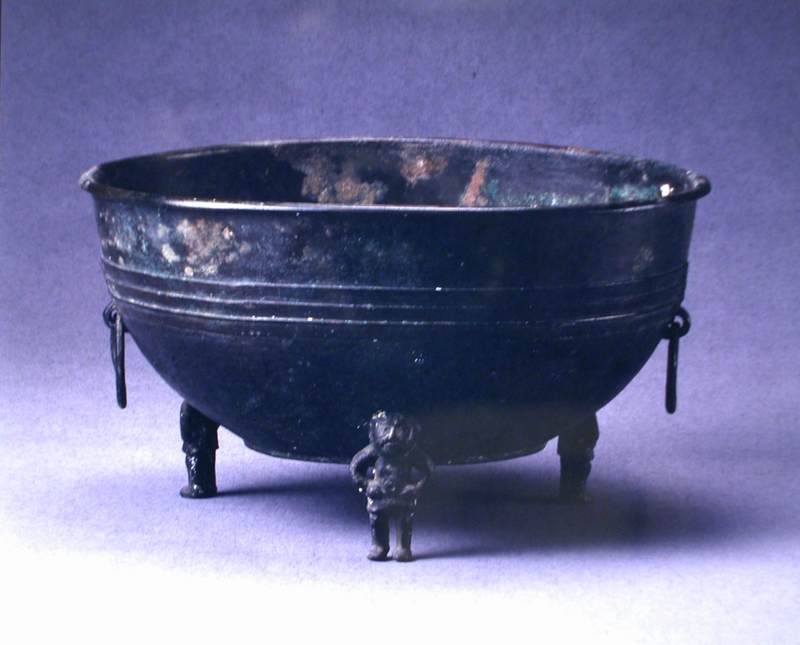 As a daily-used washing vessel, this laver resembles the late Warring States Period dui vessel with human-shaped legs in both the form and the decoration, which was unearthed at Langyashan in Huailai and presently collected in Hebei Provincial Institute of Cultural Relics. This pot has a small round mouth, a short neck and a sloping shoulder with two opposite ears in the shape of an animal-head holding a ring. This pot has a small round mouth, a short neck and a sloping shoulder with two opposite ears in the shape of an animal-head holding a ring. The belly is rather big with ridges on two sides, making its cross section and the ring foot under the belly like an olive. The ring foot is short, and slightly outstretched. The overall surface is unadorned. 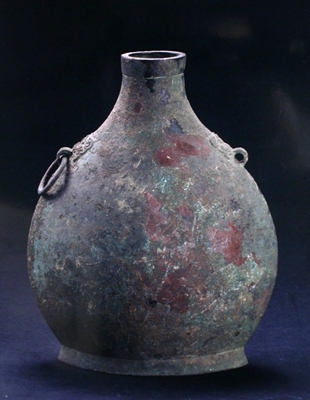 Its unique shape laid the basis for Han Dynasty oval pots. This vessel has a wide mouth with a broad right-angled edge, a short contracted neck, cord-shaped upright ears, a round shoulder, a bulging belly and three short legs with shallow crotches. This vessel has a wide mouth with a broad right-angled edge, a short contracted neck, cord-shaped upright ears, a round shoulder, a bulging belly and three short legs with shallow crotches. Gold-inlaid patterns are applied on the rim, the neck, the shoulder and the belly. The mouth rim is decorated with a continuous square spiral pattern. Around the neck are eight round floral designs. On the shoulder there is a circle of Persian characters, which are epigrams saying to the effect that one should treasure his life and spend it worshipping Allah and learning the essence of life. The belly is adorned with patterns of passionflowers and interlocking Ganoderma. 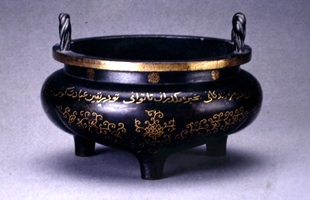 The year in which it was made, 885 in the Muslim calendar (1450 AD, or the first year of Jingtai in Ming Dynasty), is inscribed at the bottom in gold within double rings. 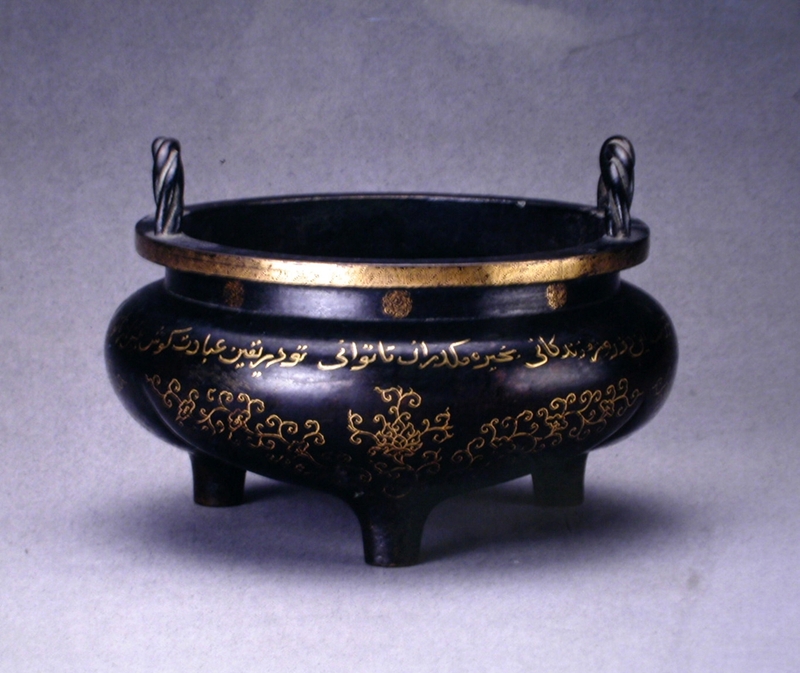 With a graceful design and fine workmanship, this incense burner is a rarity that integrates Han and Muslim artistic styles. This vessel has a mouth slightly curved inward with its rim bent outward, a right-angle edge, upright ears, a bulging belly and three legs. 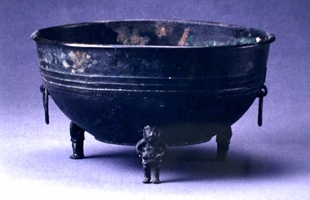 This vessel has a mouth slightly curved inward with its rim bent outward, a right-angle edge, upright ears, a bulging belly and three legs. There are three shallow round depressions in the inner bottom that correspond to the three legs. Each of the ears is adorned with a group of confronting kui-dragon patterns on the outside. Beneath the mouth rim there are six groups of beast masks with ridges for noses. Each of the legs is adorned on top with a group of beast masks with three raised lines beneath. The interior surface of the belly is inscribed with twenty-six characters in four lines, saying Duke of Zhao awarded Jin Yi, who had offered food to the duke by the order of Marquis Yan. 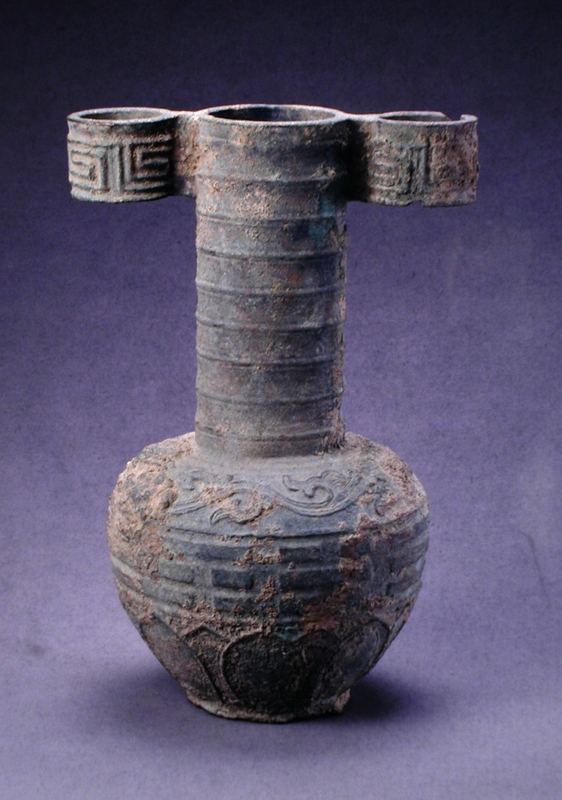 Majestically shaped and simply decorated, this bronze ritual vessel is rated as the largest and heaviest one among its kind in Beijing region, marking the advanced level of local bronze culture. 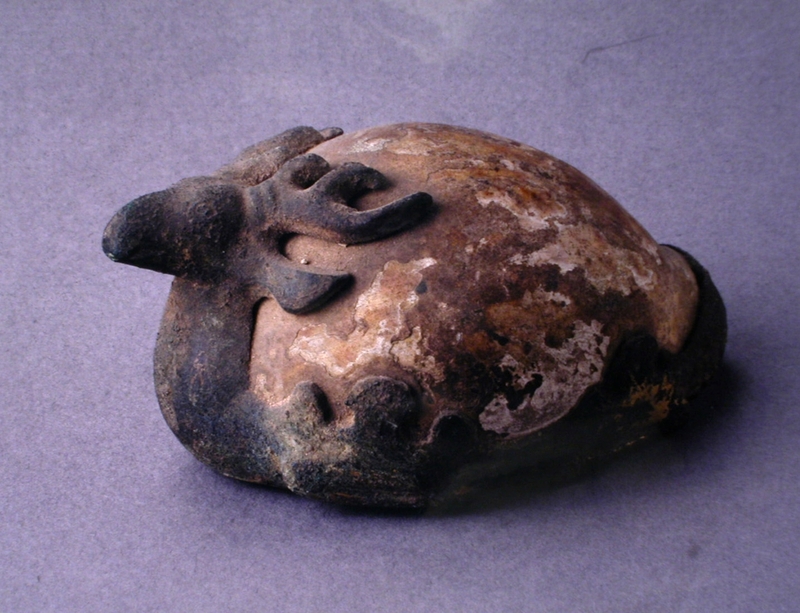 This crouching deer consists of a seashell body and bronze head and limbs. Its raised head is further fixed to the sea shell body by back-spreading antlers and ears. This crouching deer consists of a seashell body and bronze head and limbs. Its raised head is further fixed to the sea shell body by back-spreading antlers and ears. The lower edges of the belly and limbs curve upward to support the shells. Traces of gold could be seen somewhere on the body. Its ingenious integration of two materials, especially using the shell's pattern as the deer's pattern, can best represent the artistic efforts. 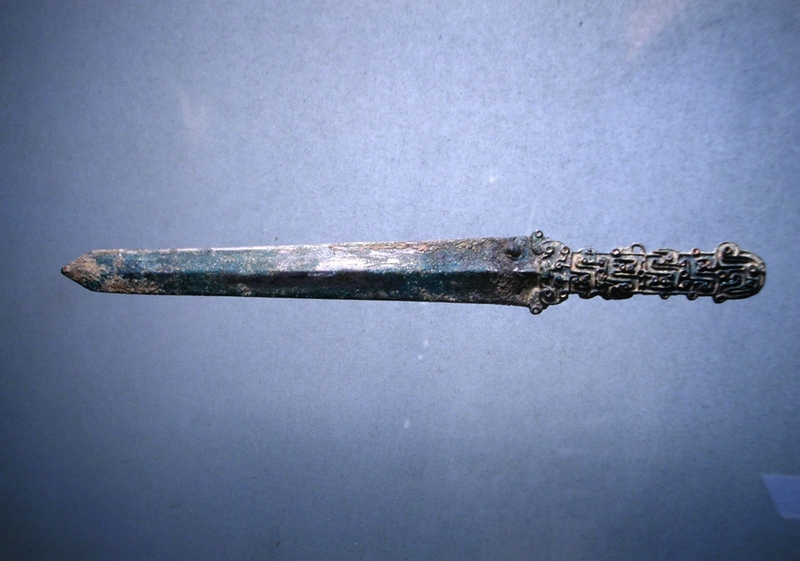 The style was unique in Han Dynasty. This is a bronze dagger made by northern people. 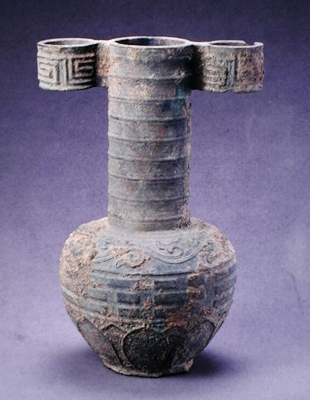 The body is short, thick and heavy, but finely cast, with the hilt being adorned with a realistic design characteristic of nomadic culture.